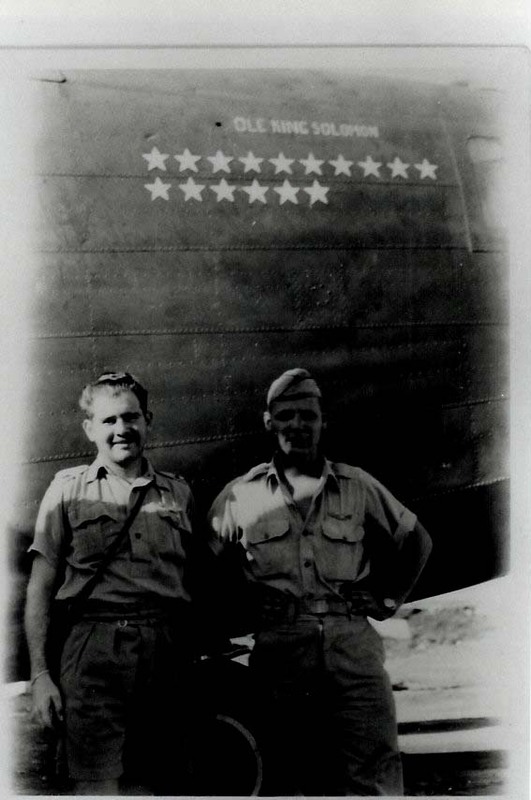 Ole King Solomon, serial number 41-11617, was one of the 23 HALPRO B-24s. Her RCL was # 12. She was on HALPRO's first mission of June 12, 1942 to the Ploesti oilfields. She flew 22 missions. When the 376th HBG was formed in November 1942, her RCL was changed to #36. She flew another 10 missions as #36. Following the realignment of aircraft RCLs with the various squadrons, she carried 2 different RCLs. The first was #50, when she was damaged on the May 4 1943 mission to Reggio Italy. When she returned to service, she was given the RCL #49. In total, she flew 43 missions. But that was not was not the end of her service. 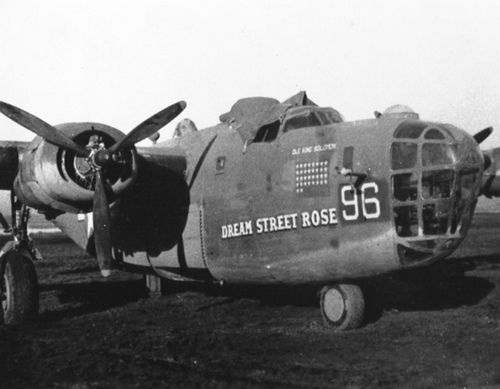 She was transferred to the 515th squadron, given the RCL #96. In addition, her name was changed to Dream Street Rose. She flew no missions in this configuration.